I write a Star Wars blog. I talk about Star Wars and I buy Star Wars stuff. I’m also married with a daughter and two cats. And if you are a member of Anchor.fm you can leave a voice message for the podcast. Just search for My Star Wars Life Debt and click the 'Leave Message' button. OH MY GOD! The trailer for The Clone War Season Six was shown at the Clone Wars Panel and its amazing, and here are my thoughts, feelings and general nerdgasms. And I get a look at the Mandalorian Sizzle Reel so I give a couple of thoughts on that as well. On the second day of Panels, Star Wars Celebration have to us a trailer for the upcoming video game 'Jedi - Fallen Order' and here I am talking about it. It's finally here! The teaser trailer for Star Wars: The Rise of Skywalker has arrived and this is my reaction to it, and some friends of the show give their opinions as well in Life Debt Banter (thanks Josh). This week I watched 'Attack of the Clones' and realised that I was far too harsh on the film when I wrote a blog post about it last year and so I try to set the record straight. This week I watched 'Revenge of the Sith' and really took notice at how much 'The Clone Wars' really helps expand the story of Anakin after 'Attack of the Clones' and makes his actions in ROTS make more sense. WARNING!!! SPOILERS AHEAD SO IF YOU WANT TO AVOID SPOILERS FOR EPISODE IX THEN MOVE ALONG, MOVE ALONG. There has been a leak. A promotional poster for Episode IX has leaked online as well as character images. In this bonus episode I'll be taking a look at these leaked images and trying to make sense of them all. 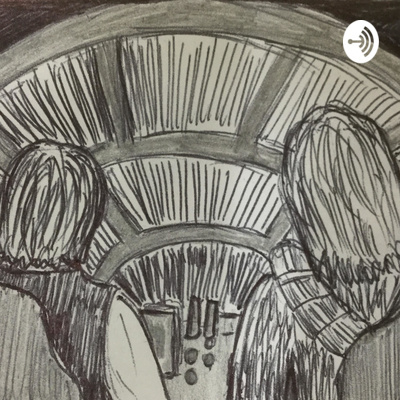 This week I fly without a co-pilot and head to Castellon for the last time to talk about Star Wars: Resistance - No Escape (Part 2)' and I throw some theories into the ether for what we could get in Season 2. This week I got recent Patreon member and Star Wars Podcast connoisseur, Anthony (Rural Farm Boy) on the show for an absolutely amazing Star Wars chat. This week I take a look at the latest 'Star Wars: Resistance' episode, 'No Escape', I look at the announced panels of Celebration Chicago, shamelessly promote the new Merch Store and put out a heartfelt Patreon Thank You. What a week it's been! That Episode IX wrap photo, all the tweets from cast and crew about finishing filming and then New York Toy Fair. And I cover it all as best I can. I'm back and at it again with the latest round of bits and bobs from the Star Wars Galaxy, including a trip to the Collection Corner, I y'all about some great Star Wars Podcasts, a little bit of book news and a SPOILER SECTION at the end about the recent Costume/Concept Art leaked images from 'Episode IX'. I'm flying 'Solo' again and talking about two of the three recent 'Star Wars: Resistance' episodes. New Lego announcements and C-3PO is in the can (so to speak). And I do a Patreon shout-out!!! No E-Mails though. Blast it Beeken, where are you? This week I fly 'Solo' once again and look at the recent Star Wars news, including Alphabet Squadron, Star Wars: Resistance is back and EA Games have dropped the ball YET AGAIN! Oh and I got an E-Mail. This week I celebrate the 30th episode by not focusing on recent Star Wars events and instead talk to returning guest Andrew Beekin about Chuck Wendig's Star Wars: Aftermath and end up going on Star Wars tangents for longer than we anticipated. You can e-mail the show at lifedebtpodcast@outlook.com Check out the NGB Blog which Andrew contributes to HERE. You can watch the films Andrew and I have worked on over at this link HERE. And if you are a member of Anchor.fm you can leave a voice message for the podcast. Just search for My Star Wars Life Debt and click the 'Leave Message' button. Thank you for visiting My Star Wars Life Debt. If you have enjoyed this blog, please like/share/comment/follow. If you would like to contribute to the upkeep of the blog please visit the Patreon page HERE. You can e-mail the show at lifedebtpodcast@outlook.com And if you are a member of Anchor.fm you can leave a voice message for the podcast. Just search for My Star Wars Life Debt and click the 'Leave Message' button. Thank you for visiting My Star Wars Life Debt. If you have enjoyed this blog, please like/share/comment/follow. If you would like to contribute to the upkeep of the blog please visit the Patreon page HERE. As there is no new episode this week I have put the two parts of my The Last Jedi commentary together. Please enjoy and we’ll be back to the regular schedule in January. This week my plans to finish the 'Star Wars: The Last Jedi' commentary comes to an end, despite another cold and housework trying to get in my way. This week I try to talk my way through the last three episodes of Star Wars: Resistance as I deal with the aftermath of a cold and can barely string a sentence together. Where All Good Plans Go Wrong... Sort Of. This week I talk my way through an hour and fifty minutes of The Last Jedi but only recorded an hour (oops). The second part of the Commentary will be available in next weeks episode (I promise). Don't forget you can purchase The Life Debt Holiday Special (aka The Breaking of a Fan) from http://mystarwarslifedebt.bandcamp.com You can e-mail the show at lifedebtpodcast@outlook.com And if you are a member of Anchor.fm you can leave a voice message for the podcast. Just search for My Star Wars Life Debt and click the 'Leave Message' button. Thank you for visiting My Star Wars Life Debt. If you have enjoyed this blog, please like/share/comment/follow. If you would like to contribute to the upkeep of the blog please visit the Patreon page HERE. This week I talk about my thoughts on the future of The Clone Wars after Season 7. I discuss Resistance Episode 7 'Synara's Score'. I go back to the Collection Corner with an overpriced book and I reveal a clip of the Life Debt Holiday Special (aka The Breaking of a Fan) available from http://mystarwarslifedebt.bandcamp.com on Friday 30th November. Cassian’s streaming services the Resistance’s Lego addiction. In this episode I discuss 'Signal From Sector Six', add more to the #CollectionCorner, give my two cents on the newly announced Cassian Andor series, go on a tangent about voice actors and mourn the loss of a legend. In this episode I discuss the fourth and fifth episodes of Star Wars: Resistance. I add to the collection on Collectors Corner. I throw my hat in the ring over the Clone Wars Cancellation reasons from when Disney took over and I wax lyrically over another Star Wars Podcast. You can e-mail the show at lifedebtpodcast@outlook.com And if you are a member of Anchor.fm you can leave a voice message for the podcast. Just search for My Star Wars Life Debt and click the 'Leave Message' button. Thank you for visiting My Star Wars Life Debt. If you have enjoyed this blog, please like/share/comment/follow. If you would like to contribute to the upkeep of the blog please visit the Patreon page at patreon.com/mystarwarslifedebt . The Mandalorian Lego Pop Showcase Extravaganza... listen and it will make sense. In this episode I shake it up by giving the show a bit more structure. I talk about what's coming up on the blog this week, the sudden growth in my collection in #Collection Corner. Another new segment called 'This Week I Have Mostly Listened to...' where I showcase another Star Wars Podcast and I give an update on the My Star Wars Life Debt Patreon. In this episode I discuss the third episode of Star Wars: Resistance - Fuel for the Fire. This week I discuss my thoughts on Star Wars: Resistance Episode 1 - The Recruit. Warning here be spoilers. This week I give my immediate thoughts on Timothy Zahn's latest Star Wars novel Thrawn: Alliances. This week I interviewed two of my friends who I make films with about their Star Wars fandoms. 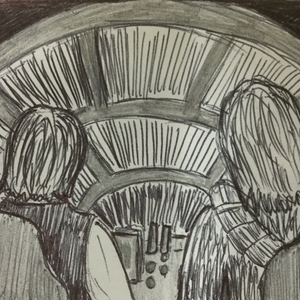 This week I regail you all with tales of my daughter and her first Star Wars experiences. This week I discuss the Star Wars news from my two week hiatus. This week I unleash my feelings towards the hatred within the Star Wars fandom. Warning - Explicit Content. I talk about the rumours from the past week that got the fandom worked up as well as my thoughts on the best way to release future Star Wars Stand-Alone films. I sit down and talk about some of my highlights from Season One of The Clone Wars animated series. I talk about the underperformance of Solo: A Star Wars Story and end upnhaving a bit of a rant about the toxic fans who give Star Wars fandom a bad name. Sorry. SPOILER FREE!!! A bit of business and a bit of news before a spoiler-free reaction to Solo: A Star Wars Story recorded after the midnight screening. Star Wars: Resistence and a beeakdown of some of the stand-out Star Wars references in Ernest Cline's 'Ready Player One' novel. I interview Mark who isnt a fan of Star Wars about his thoughts on the Solo: A Star Wars Story trailer. I talk about the new trailer for the upcoming Han Solo stand-alone film from Lucasfilm and Disney.